Europe is going after yet another big American name. This time it's Qualcomm, the world's leading mobile chip maker. The European Commission said it has launched two separate antitrust investigation into Qualcomm. It will look into whether Qualcomm (QCOM) breached the E.U. competition rules by offering discounts to customers on condition that they buy the baseband chipsets exclusively from Qualcomm. The commission will also investigate allegations that Qualcomm engaged in "predatory pricing" by charging prices below cost to force its competition out of the market. "Many customers use electronic devices such as a mobile phone or a tablet and we want to ensure that they ultimately get value for money," said Margrethe Vestager, the EU competition commissioner. Qualcomm could face a fine of up to 10% of its annual revenues if found in breach of the rules. The chip maker said it was "disappointed to hear" about the investigation. "We continue to believe that any concerns are without merit," it said. 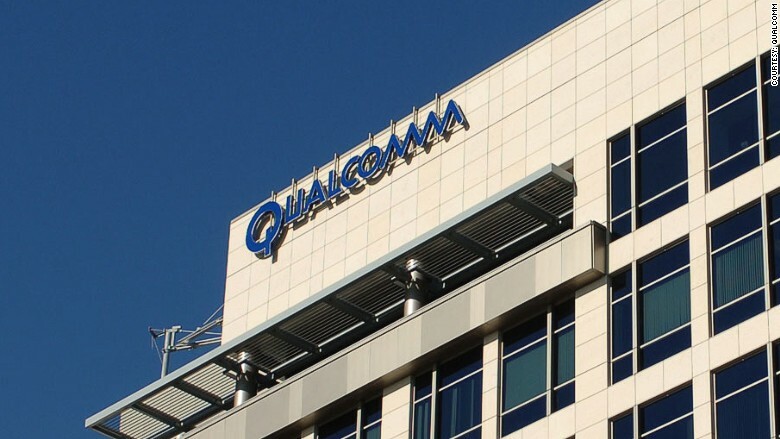 The investigation comes only five months after Chinese regulators hit Qualcomm with a record $975 million settlement over another anti-monopoly dispute. Qualcomm is the latest big US tech company to find itself under the scrutiny of European regulators. The European Union is getting increasingly worried about the dominance of Big Tech and has launched its own program to boost the European tech sector. Apple (AAPL), Facebook (FB), Amazon (AMZN), and Google (GOOG) are all feeling the pressure, finding themselves under the scrutiny of authorities. The EU has also accused Mastercard of overcharging consumers with the fees the company charges.